It’s the holiday season and needless to say, we’ve been partaking in a bit of indulging. OK, a lot of indulging! Not too shy to dip into the sinfully delicious, treating ourselves to all things decadent like at no other time of year, we certainly haven’t been quick to pass up on seconds of the sweet stuff. And it’s actually got us quite inspired, inspired to share our thoughts on some creative and tasty ways to fulfill the sweet tooth of all your wedding guests. From unique cake designs to imaginative cake alternatives, here are our favorite mouthwatering wedding dessert concepts. Now that you’ve got plenty of ideas for what to serve, join us this coming DIY Wedding Wednesday when we show you how to dress up your goodie display. 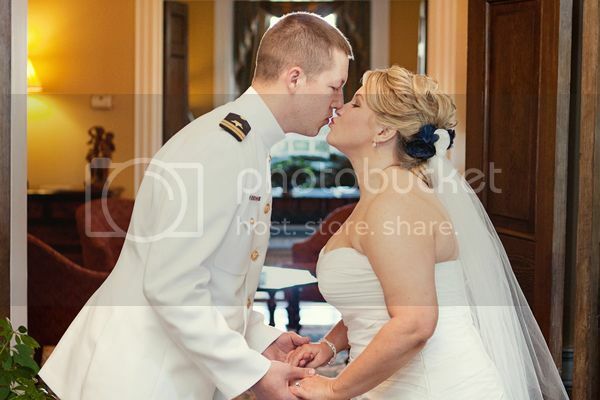 We already know that you can’t resist a man in uniform, but that’s only one of the many fabulous details in this wedding! It’s all about the little things; the hand painted cake topper, the cartoon versions of the Bride and Groom gracing their wedding stationery, the buttons on the vases and of course the exquisite candy buffet. 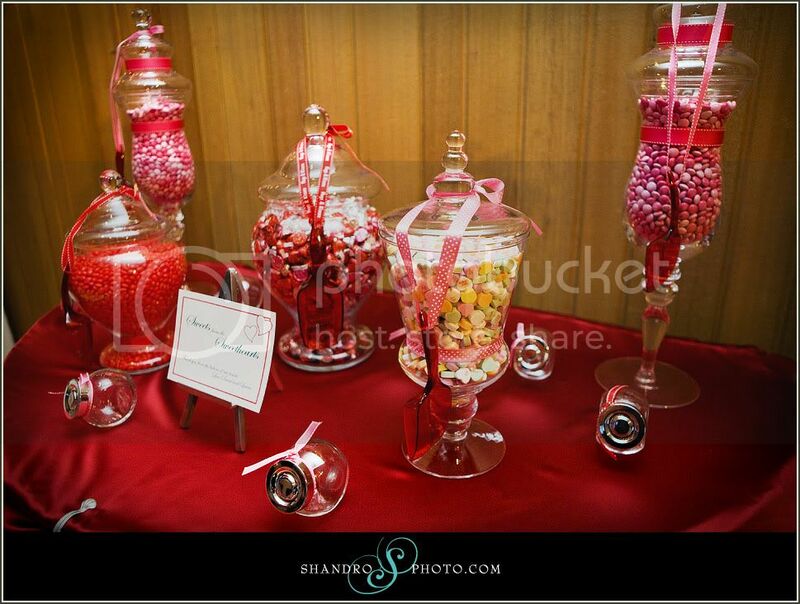 I never tire of seeing a well done candy buffet, it’s such a great alternative or addition to traditional wedding favors. It seems natural to include things like hearts and the color red in anything involved with Valentine’s Day, however there is another detail that I love even more!